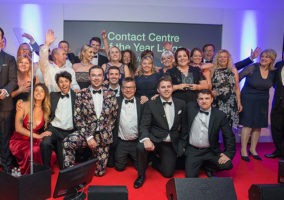 Contact centres celebrated success at the fifth annual South West Contact Centre Awards. Mock the Week’s Milton Jones hosted the Gala Awards Ceremony to an audience of 300 guests, where a total of 16 presentations were made to a variety of worthy finalists from across the South West region. Presented jointly to Catherine Kellett (UCAS) and Kelly Edwards (Motability Operations) in recognition of their initiatives and commitment to supporting colleagues. Presented to LV= Bristol’s Max Huntley for his unified approach to sales and service delivery. 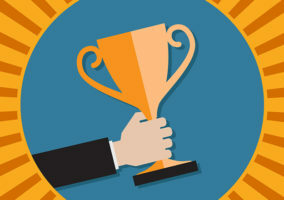 While Brightside’s Max Rose was Highly Commended for his professionalism and commitment in delivering sales programmes. Sarah Deacon, Capita Life & Pensions, scooped the award for her dedication and enthusiasm for the customer. Ami Anderson of LV= was awarded for her innovative approach to training programmes which deliver both individual and corporate requirements. 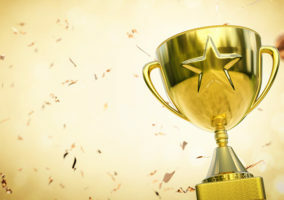 Leanne Squires scooped another award for Capita Life and Pensions in the category for her first-class leadership skills and committed approach as team leader. Presented to Phillipa Evans, TMP Worldwide for her superb management skills in driving team performance and delivering client objectives. Matthew Hill, Dyson, was awarded for his professionalism in ensuring outstanding results across the business. Jaywing were presented for their innovative approach to staff training and development. Went to LV= Bournemouth for the outstanding support they have provided to the contact centre. The award for went to Capita Life and Pensions, who received it for their excellent account delivery on behalf of their financial services client, Zurich. EE were voted outright winners for their fantastic initiatives and dedication to support the local community. The award was presented to Swindon-based Carpeo for their innovative IT project delivery in supporting their Brazil-based client. The award for was presented to Bournemouth-based LV= for their excellent practice for both staff and customers. Presented to Motability Operations in respect of their excellent strategies for their centre, customers and staff.